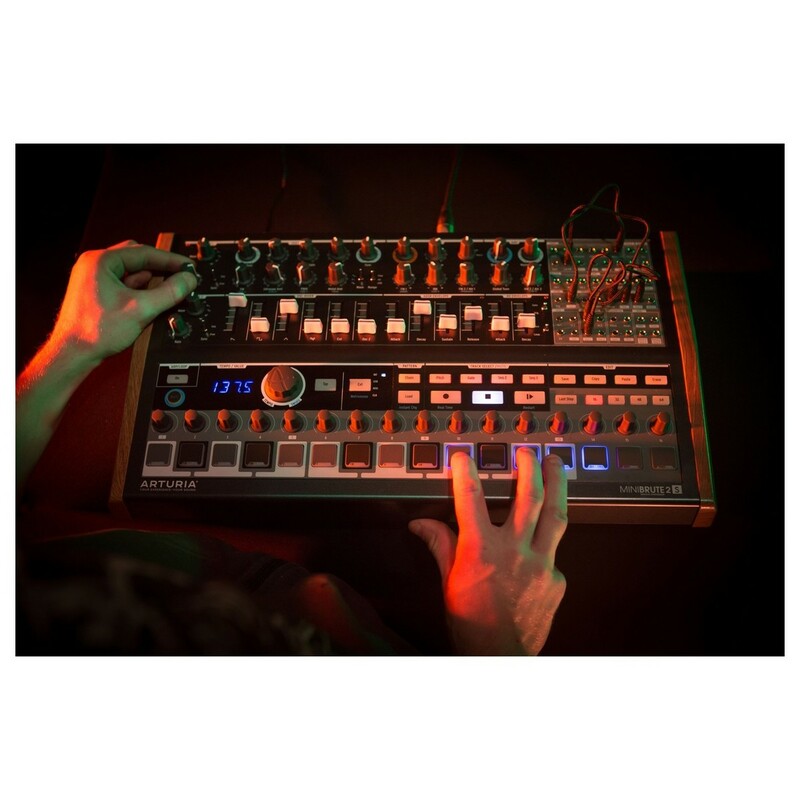 The Arturia MiniBrute 2S Semi-Modular Analog Sequencing Synth Module is a standalone, hybrid analog sequencer/synth that combines massive synth power with a versatile, triple-layered step-sequencer. 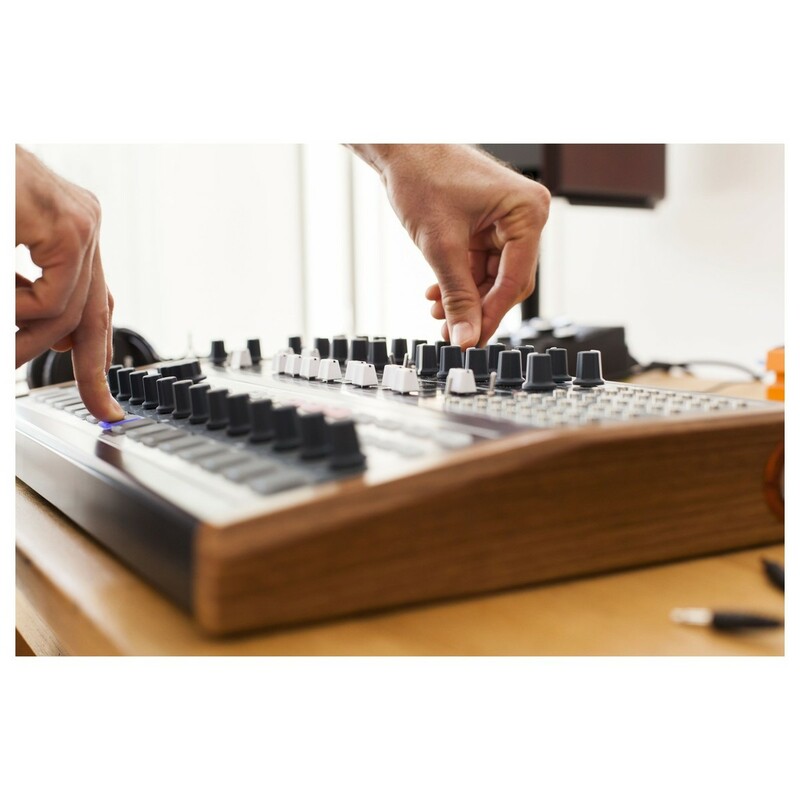 The MiniBrute 2S features an intuitive step-sequencer, providing pressure and velocity sensitive pads with real-time recording, ideal for live performances. 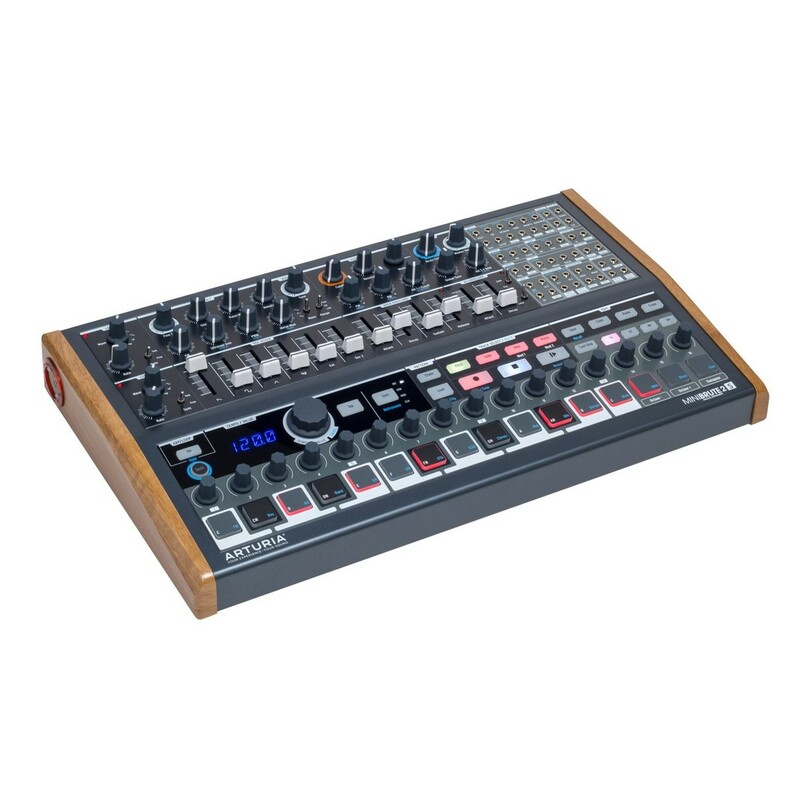 It offers 2 mixable, multi-waveform oscillators that provide the core for sound shaping. 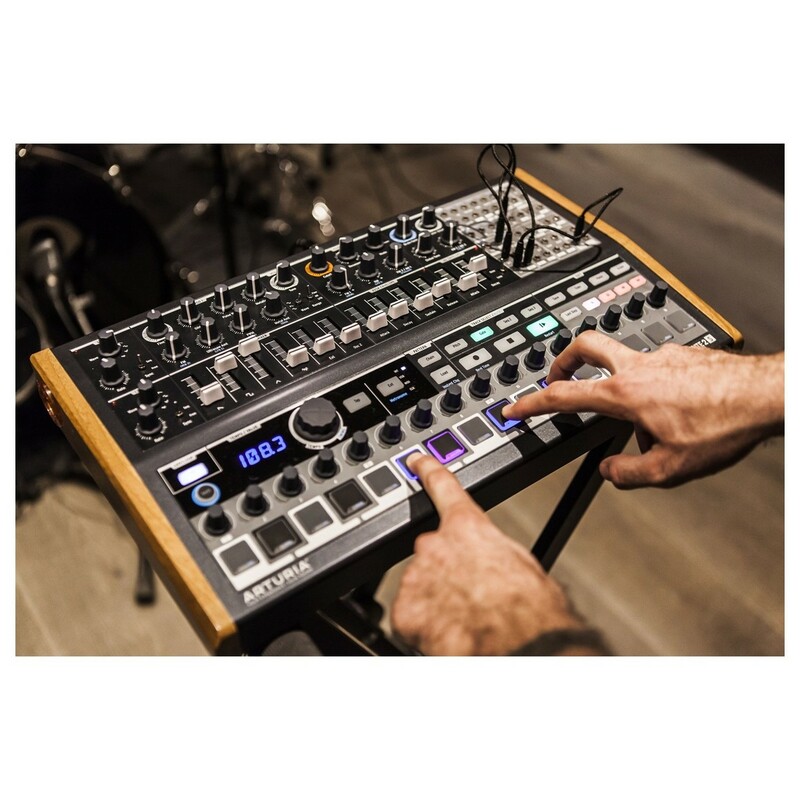 Featuring a beefy, acidic multimode filter, ADSR envelope generator, and Brute Factor control, the Arturia MiniBrute 2S allows for flexible and versatile sound and rhythm creation. The intuitive step-sequencer and arpeggiator makes rhythmic and pattern creation a breeze, whilst the new modulation matrix unlocks a new world of performance possibilities. Give your music the punch and power it needs with the Arturia MiniBrute 2S. 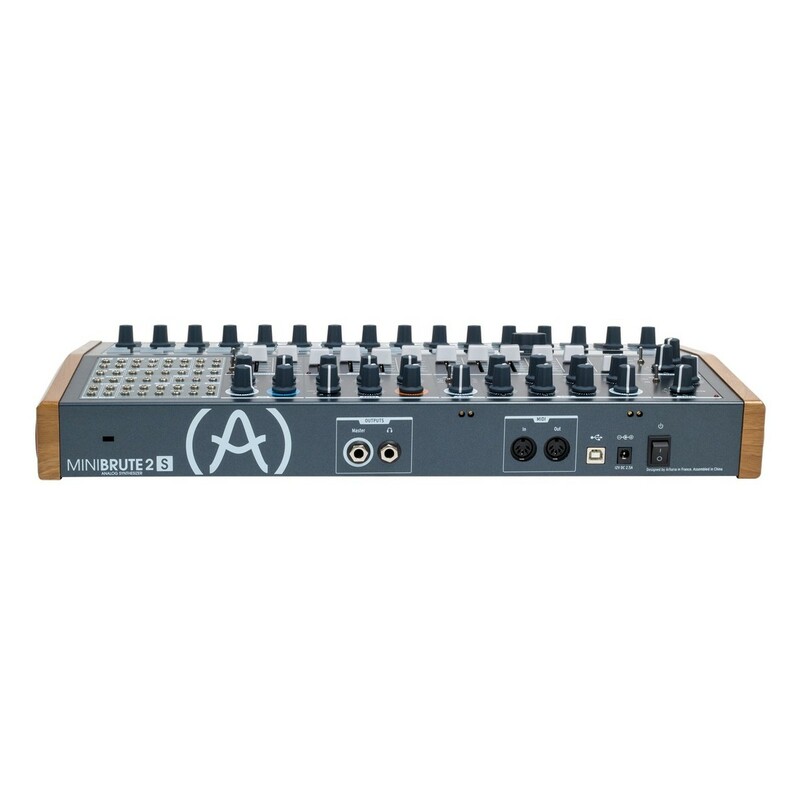 The Arturia MiniBrute 2S is the sequencer variant of the MiniBrute 2 synth. It replaces the keyboard with a set of performance pads. 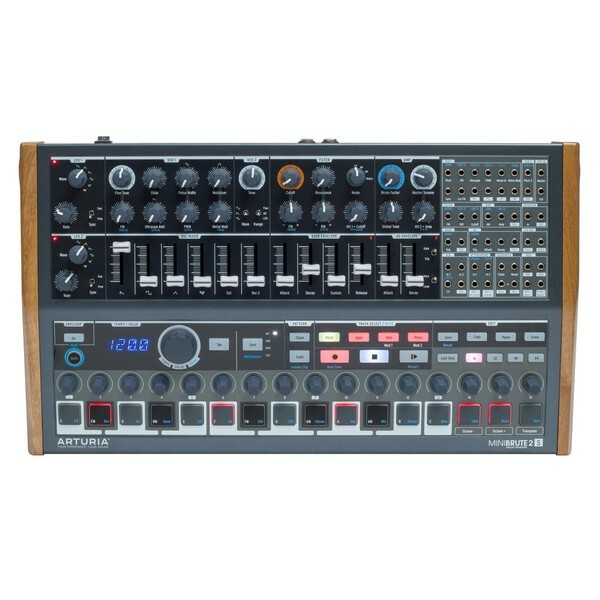 The MiniBrute 2S splits the synthesizer and sequencer sections into two to make a layout that is easy to understand. The MiniBrute 2S features an intuitive and powerful triple-layered step-sequencer that makes rhythmic creation easy. The sequencer provides 64 sequence memories which can be quickly recalled when performing. It allows you to chain sequences, and also offers multiple sequence types for flexibility. You can also choose individual length per step. The advanced arpeggiator offers multiple modes, tap tempo and sync, whilst the step-sequencer gives you an unlimited amount of creative freedom. Create a sequence and then tweak the parameters of your sound on-the-fly to create a continually evolving live performance. The Arturia MiniBrute 2S comes jam packed with powerful sound shaping features that enable you to create everything from brutal, deep basses to light, lead lines. It offers two mixable, multi-waveform oscillators with sound shapers for mixing in the sawtooth, square, pulse, triangle, and sine waveforms. VCO1 also features metalizer, pulse width, and FM knobs for tweaking and thickening up sounds. The white noise generator allows you to add high frequency content to your sounds. The MiniBrute 2S features a Steiner-Parker multimode filter that offers a beefy, acidic tone with high-pass, low-pass, band, and notch filters for dynamically shaping and moulding your sound. Next, we have the ADSR and AD envelopes that allow you to create both snappy, punchy sounds and smooth, lead lines. The MiniBrute 2S also features two LFOs with multiple waveforms. The MiniBrute 2S lets your imagination run wild, allowing you to tweak multiple parameters and create the sounds stuck inside your head. This feature makes the MiniBrute 2S one of the most aggressive-sounding analog synths around. The Brute Factor control is capable of adding subtle drive, or causing complete chaos. At low levels, this control can give your low end sounds some saturation and enhancement, whilst at high levels it can completely disintegrate a sound. The MiniBrute 2S lets you discover the modular world. It provides a 48-point modulation matrix that allows you to unlock a new world of possibilities. The comprehensive CV Gate modulation matrix provides you with a whole range of sources and destinations for experimenting with the internal parameters, wiring in your modular setup, or syncing your external equipment with the internal sequencer. This is definitely one for the modular eurorack users and experimentalists. 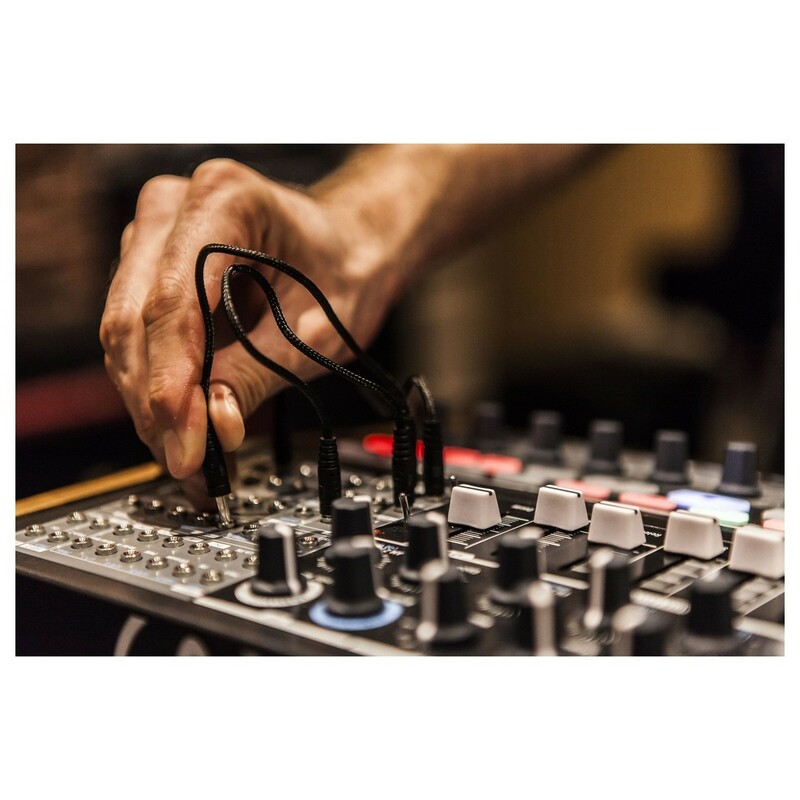 The MiniBrute 2S provides you with endless hours of enjoyment and experimentation. 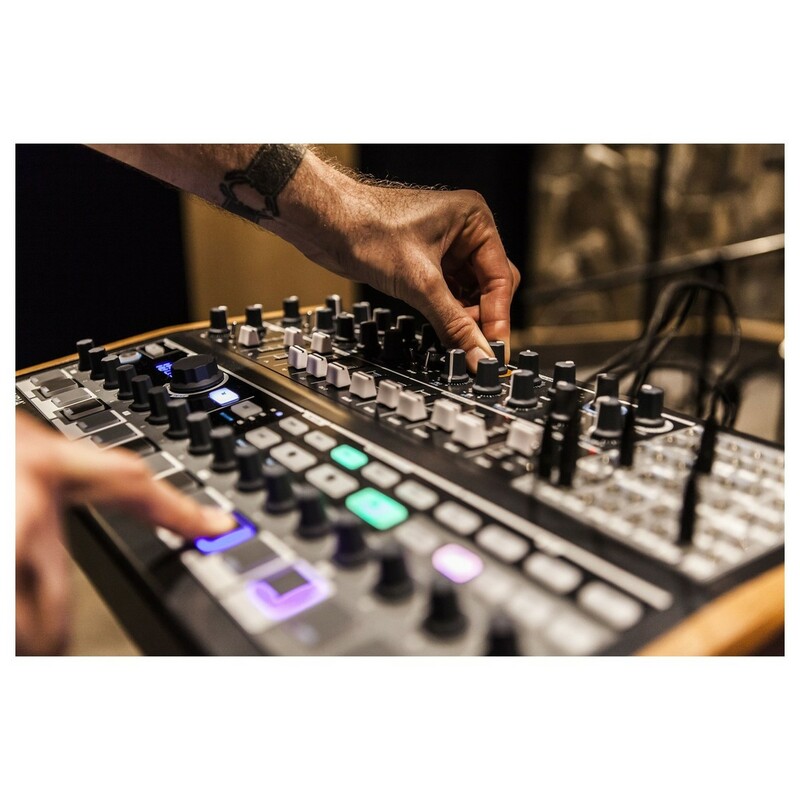 With instant hands-on control for every parameter, the MiniBrute 2S will have you amazed at its sound creation possibilities and intuitive functions. It is easy to use, and will have you creating powerful sounds in an instant. Quickly whack up a sequence, and then mix your oscillators, ride your filters, tweak your LFOs, and switch up your envelopes all at once whilst playing. The MiniBrute 2S offers a unique, affordable analog synth experience.